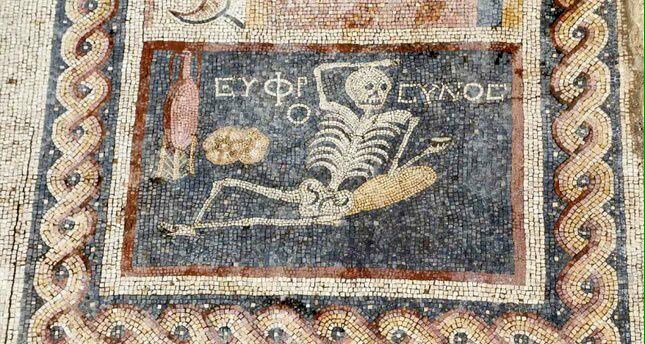 New mosaic discovery in Hatay, ancient Antioch. Fun fact: my daughter did a counted cross stitch of this, over 1700 stitches as an entry in the Philadelphia Classical Society competition. It won best of category, and probably would have won best of show had not a young man literally forged a gladius (Roman short sword) as his entry.